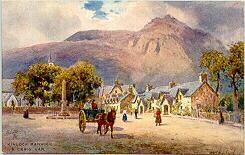 My MacGregor ancestors are known to have come from Kinloch Rannoch and Paisley, Scotland. Before that they were almost certainly in the MacGregor homelands South West of Loch Rannoch. The spelling varies in the early days e.g. MacGregor, McGregor and McGrigor. Spelling of first names also varied in the early 1800s as the MacGregor Letters show. The MacGregors were a very fierce clan and suffice to say, they greatly annoyed their neighbours and the government. Tracing earlier MacGregor history is very difficult because the MacGregor name was “proscribed” meaning that it was made “illegal”. Anyone could kill a MacGregor without legal problems, much like the bounty on wolves. This lasted for about 171 years, from 1603 April 3rd to 1774. Charles II repealed the proscription, but William of Orange reinstated it. The famous, or infamous, Rob Roy MacGregor changed his last name to Campbell during this time. The choice was odd, for although it was his mother’s maiden name, the Campbells were a treacherous clan and were much hated by the MacGregors. Many MacGregors changed their names, and even when it became legal again, many did not change the name back as it had been over 1-1/2 centuries. The Clan MacGregor is now using DNA to help prove lineage for Clan membership, regardless of the present last name. This only works through the continuous male lineage. however. MacGregor means “son of Gregor.” The “Mac” also appears as “Mc” or “M’ ” and all are the same. Interestingly I was taught as a child that OUR Macgregors spelled their name with “Mac and a small ‘g'”, however this was in error as shown by our old family letters where Mac and Mc were both used, as was a capital “G”. This Clan Gregor Society website link can give you an idea how complicated it is with the name changes. clangregor.com (I have not provided a live link because their website is not secure. 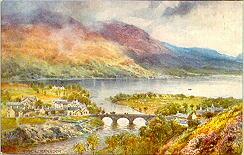 Kinloch Rannoch in Perthshire, Scotland, where our MacGregors lived before moving to Paisley near Glasgow. 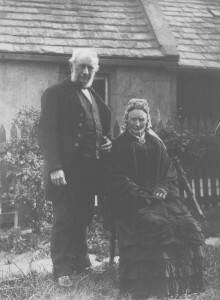 Duncan MacGregor with a lady who is likely his wife Esther HEMDERSON, circa 1851-1852. Duncan Macgregor, father of Neil Macgregor. Woman is likely Esther Henderson, his second wife. 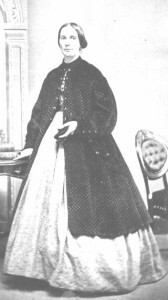 Photo taken circa 1850-1852. 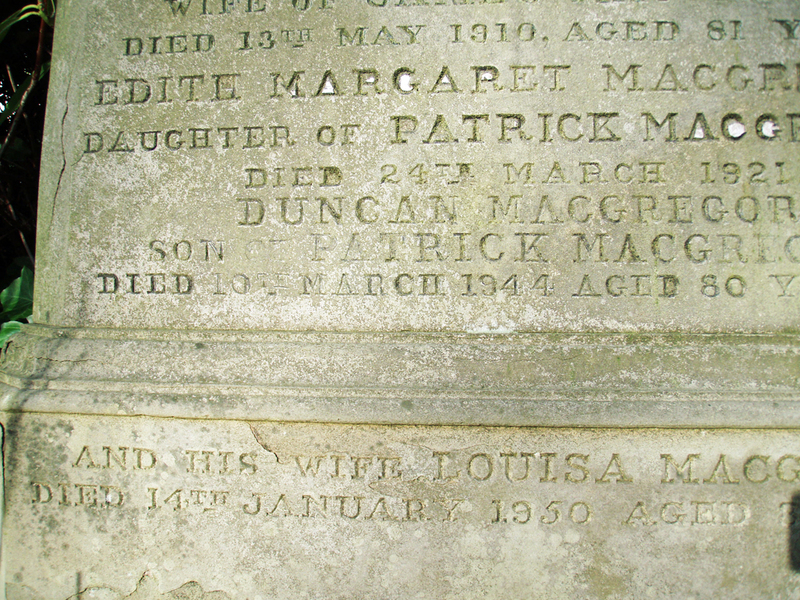 Duncan MacGregor’s grave is in Paisley, Scotland. Close-up of the first part of the inscription. The stone is starting to disintegrate. 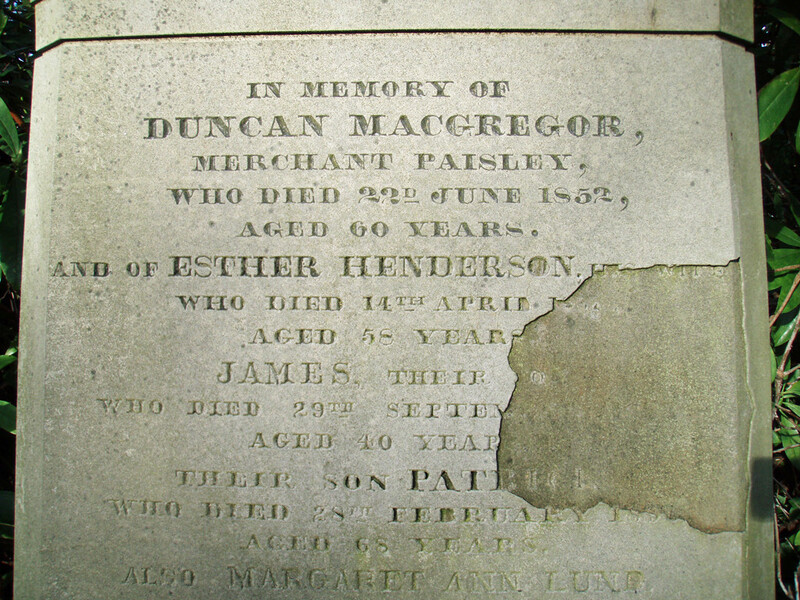 In memory of DUNCAN MACGREGOR, Merchant Paisley, who died 22nd June 1852, aged 60 years. And of ESTHER HENDERSON [his wife] who died 14th April  Aged 58 years JAMES their [son] who died 29th Septem[ber 1869] aged 40 years Their son PAT[RICK] who died 28th February  aged 68 years. 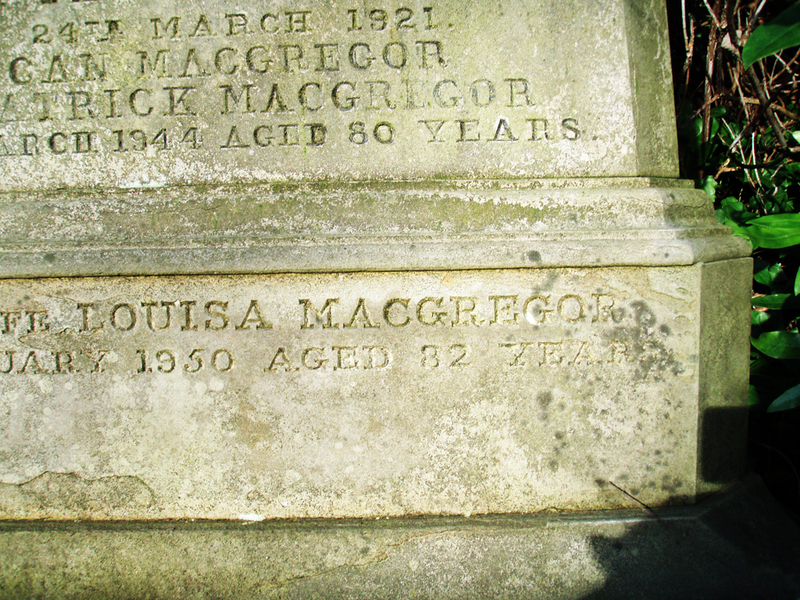 Also MARGARET ANN LUND wife of PATRICK MACGREGOR Died 26th March 1902 in her 75th year. ELIZA daughter of JAMES MACGREGOR Died 28th March 1876, Aged 11 years. 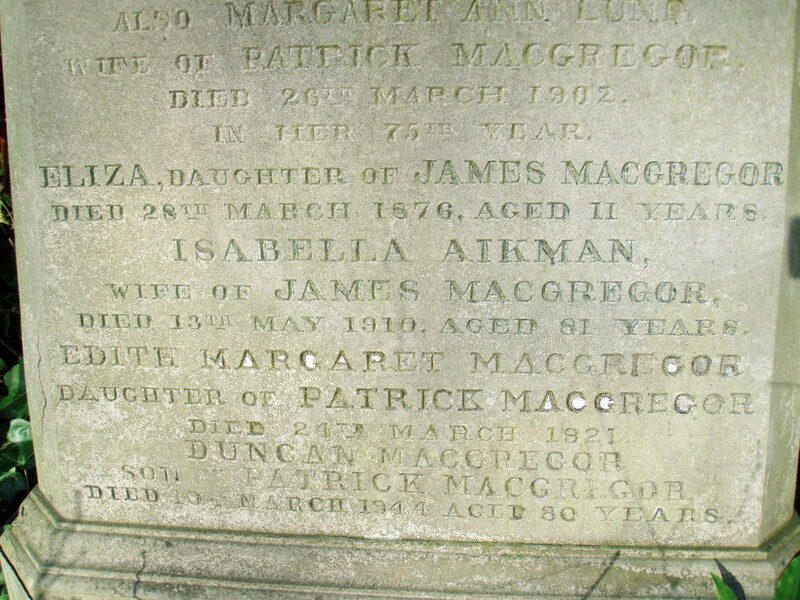 ISABELLA AIKMAN wife of JAMES MACGREGOR, Died 13th May 1910, Aged 81 years. EDITH MARGARET MACGREGOR Daughter of PATRICK MACGREGOR Died 24th March 1921 DUNCAN MACGREGOR Son of PATRICK MACGREGOR Died 10th March 1944 Aged 80 years and his wife LOUISA MACGREGOR who died 14th January 1950 Aged 82 years. Duncan Macgregor (circa 1792 – 1852 June 22), a dry goods merchant of Kinloch Rannoch and later Commission Agent of Paisley, Scotland. He wanted to emigrate to Canada but had too much textile stock on hand. His first wife (assuming he was married, no record has yet been found of the marriage or her name), mother of Neil, died. Duncan moved to Paisley, Scotland. He married Esther Henderson and had four more children. 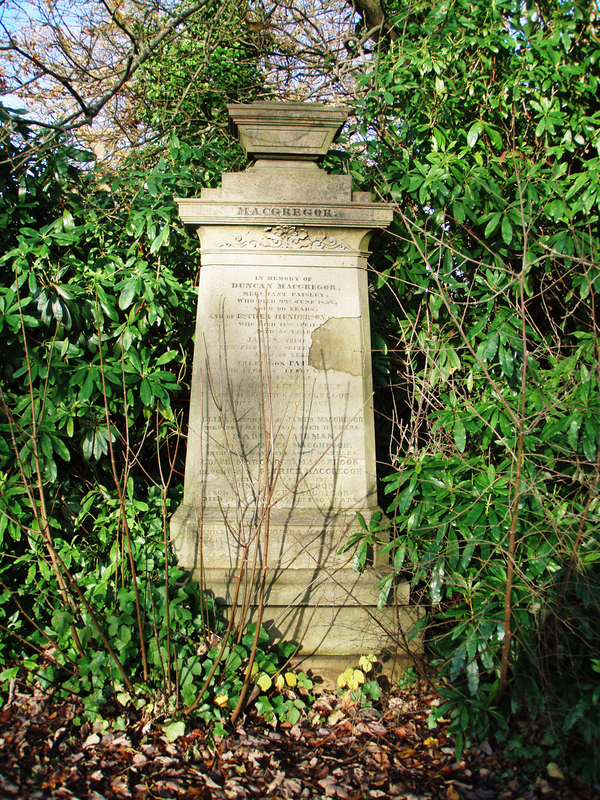 He and Esther are buried in Paisley. The names are spelled a variety of ways, even in official records and family correspondence. “Correct” spelling was not important in those days. e.g. 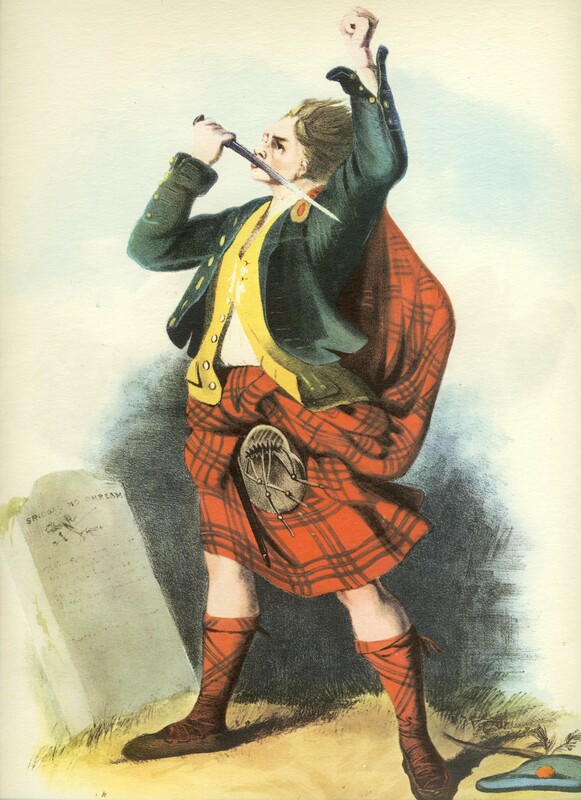 Family tradition has it that Duncan Macgregor was descended from a nephew of the famous (or infamous) Rob Roy. No confirmation of this has been found as yet. One of Duncan’s sons was my Macgregor ancestor – Niel MacGregor (1816-1874), who came to Canada from Kinloch Rannoch, Scotland about 1831 as a teenage boy to work with his uncle James MacGregor in Chippawa, Upper Canada (now Ontario). Niel was given a New Testament in Gaelic by his former school teacher. 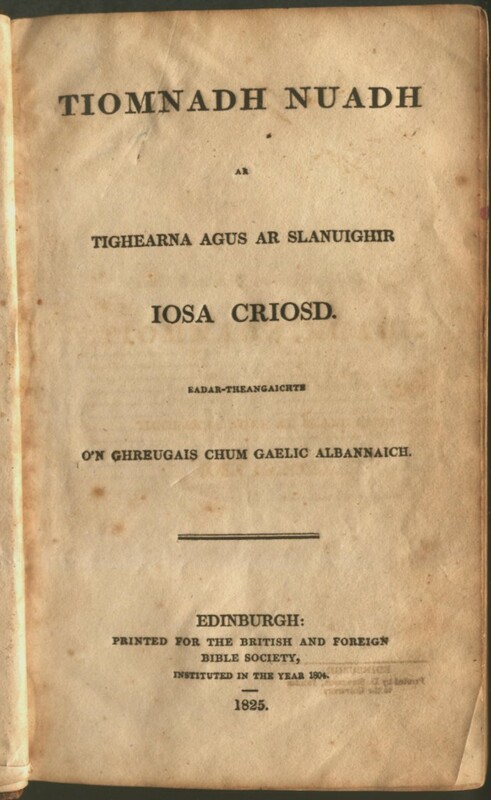 The book was published in 1825 in Scotland and was brought to Niel by his Uncle James McGregor who had gone back to Scotland visit the family. 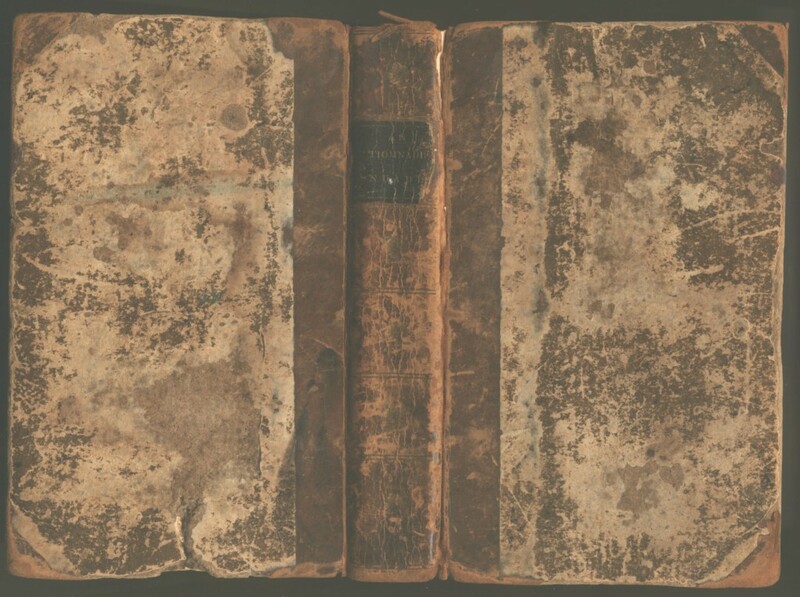 Scans of part of the 1825 New Testament book given to Niel MacGregor when he came to what is now Canada in the early 1830s. Title page with date of 1825. Neil MacGregor’s 1825 New Testament in Gaelic. This appears the be MATTHEW. 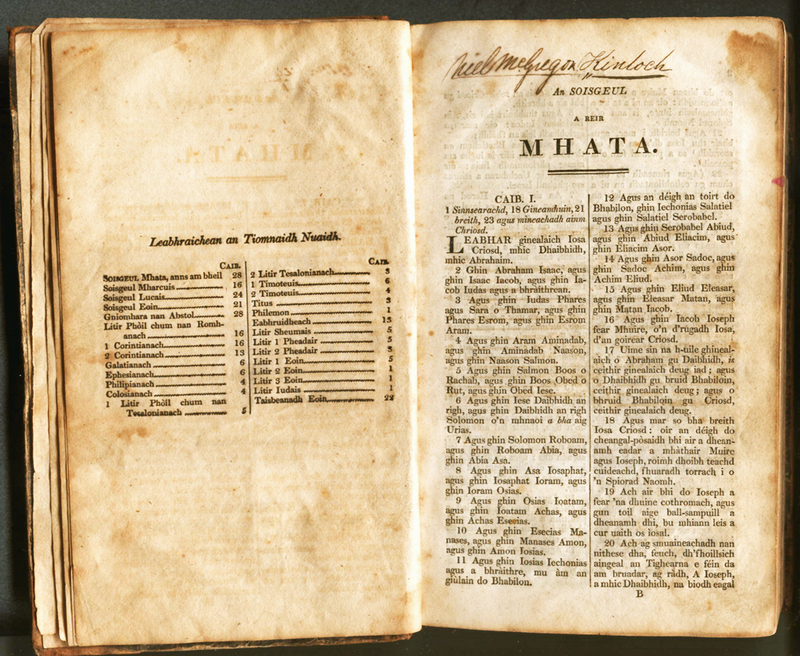 Page listing the books of the New Testament, and the first page of Mhata. 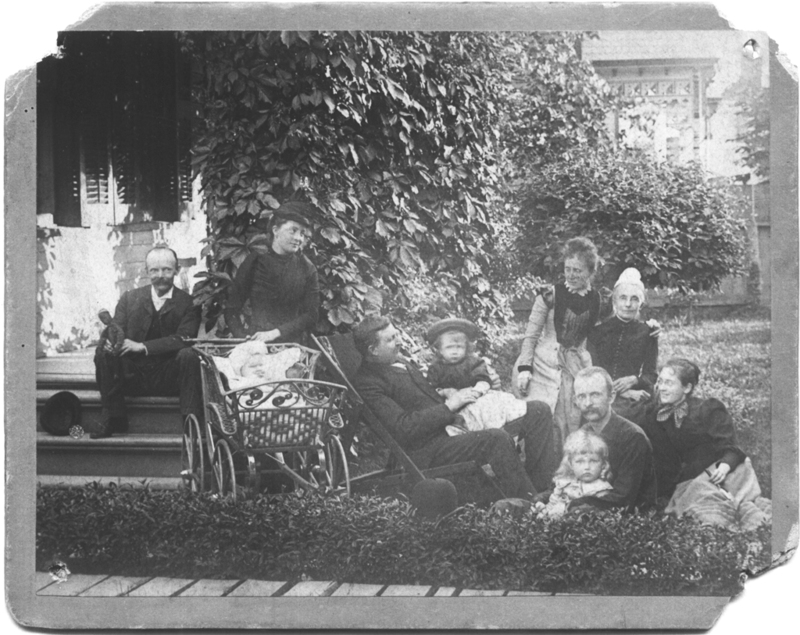 Neil MacGregor and family, about 1873, probably at 14 or 16 Welland Ave., St. Catharines, Ontario. Neil is believed to be on lawn chair in the centre. His wife Anne is at the upper right with white cap. 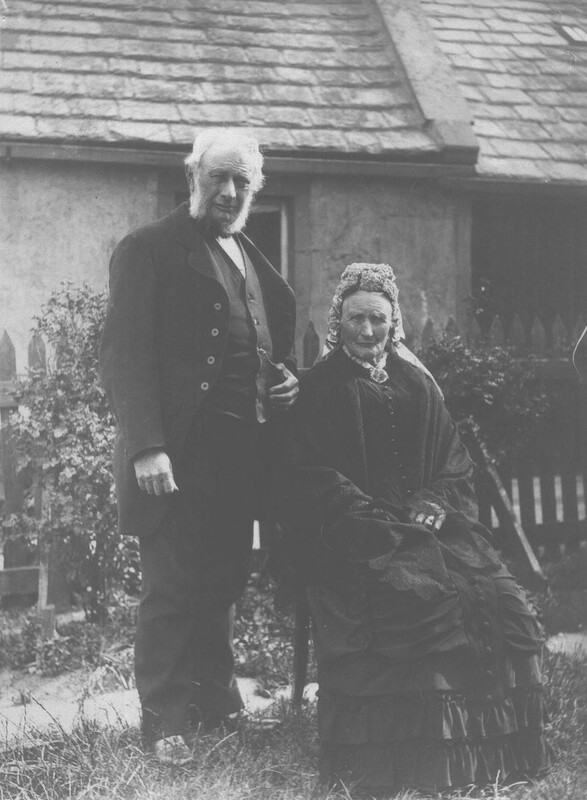 Beside her with arm around her is Minnie (Mary Maud Macgregor, who in 1874 married William Steven). The girl in Neil’s lap is believed to be Flo. Anne (daughter) is bottom right. 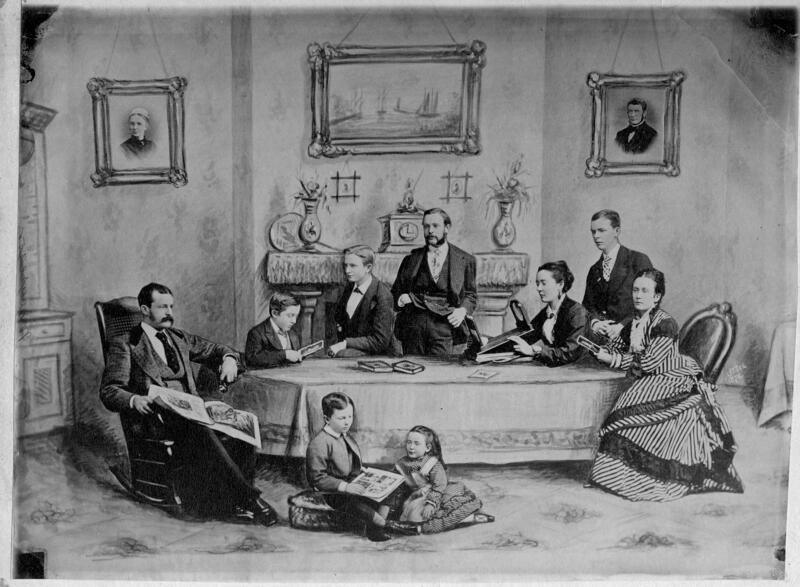 Duncan MacGregor’s Family in 1876 after he died. Composite photo. Composite (?) photo from 1876 of Neil and Anne Macgregor’s family in St. Catharines, Ontario. Photo by J. T. See. Identification by Dr. A H Stevens (1919 – 1985), grandson of Mary Maud (“Minnie”) Macgregor (# 8 in photo ID). Original photograph is owned in 2003 by Dr. E. M. Stevens. 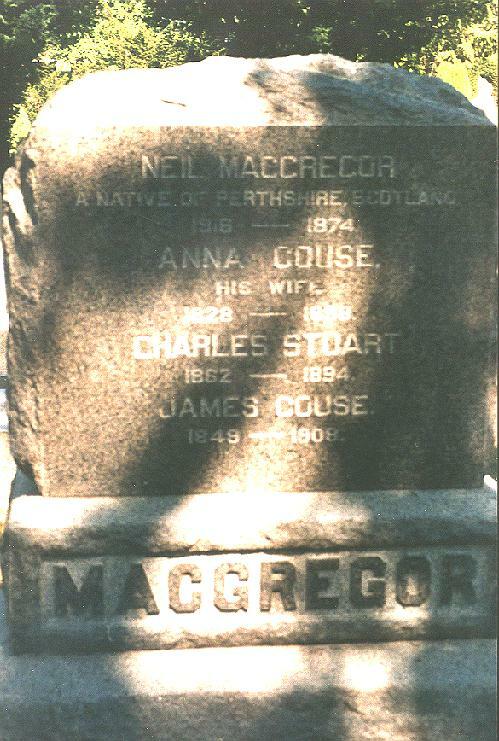 Anne MacGREGOR (nee COUSE) who married Neil MacGREGOR 1848-02-27. 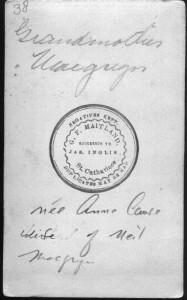 Anne MacGREGOR (nee COUSE) =- back of her Carte de Visite. Niel was later a Deputy-Sheriff in St. Catharines, and Welland, Ontario. He had a large family, but the line fizzled out with no males bearing children to carry on the name. Obituary of Neil Macgregor who died on May 12, 1874. Note that he was a schoolmate with Sir John A. McDonald, Canada’s first Prime Minister and with the Honorable Oliver Mowat, another Father of Confederation. His obituary states that he participated in the  raid wherein British and Canadians captured the rebel supply ship CAROLINE, set it on fire, and set it adrift above Niagara Falls. Contrary to most published reports, the ship did not go over the falls but stuck at the top. She later broke up. The captured flag is in the Maritime Museum at Stanley Barracks in Toronto, Ontario. The figurehead is in a US museum downstream. This incident almost started a war between the USA and Canada-UK. 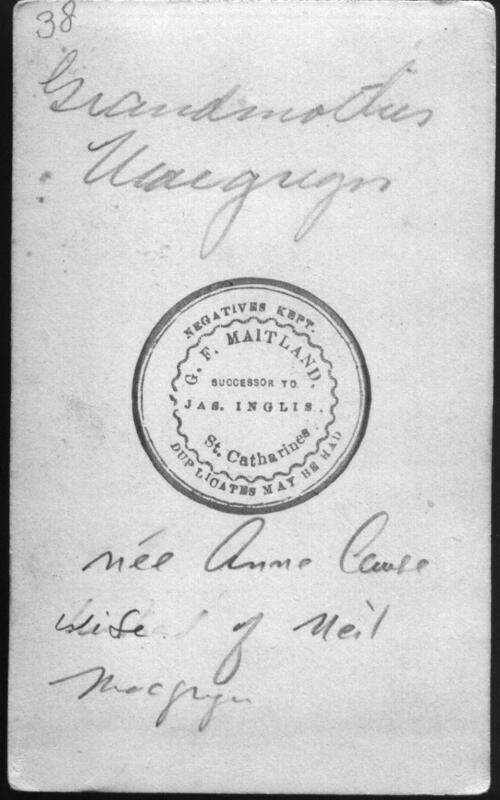 Family heirloom note cut from an old letter explaining where our Macgregor family lived in Southern Ontario. “St. C” = St. Catharines. Dates refer to 1800s thus “53 to 57” – 1853 – 1857. Owned in 2003 by Dr E M Stevens. Other side of the note. Probably from to William Arnott Stevens from an AUNT OR UNCLE (THEY REFER TO ?Your mother?? or possibly his sister Edith who died 1941. 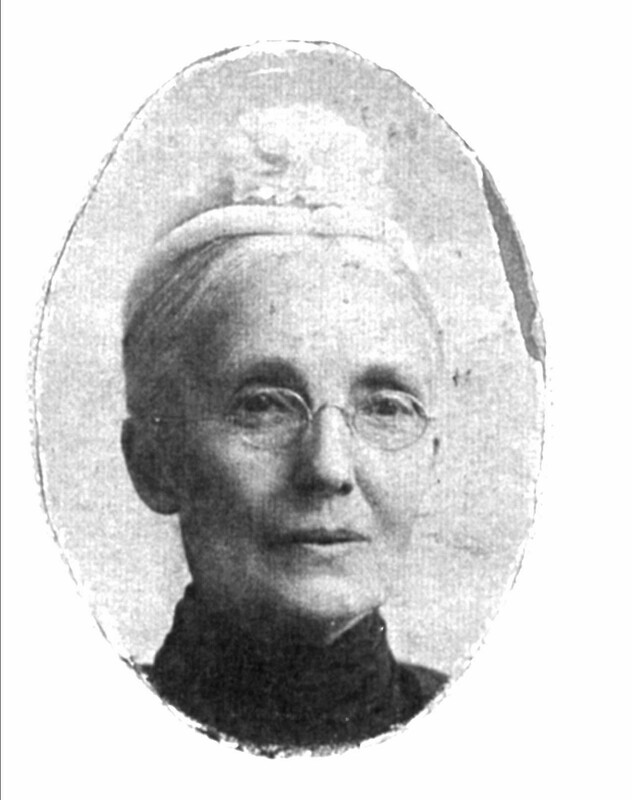 Other sister Margaret died 1899, when he was a young boy. q Mary Maud (?Minnie? Macgregor who married William STEVEN (STEVENS) was born in 1852.
q St. C. = St. Catharines, Ontario. q ?Riflo ???? = Probably a family name, possibly abbreviation. Your mother was born in St. C. 1852.
or something and was moved about. from Riflo (?) They ?begged + pleaded? Many heirlooms have been passed down to my Mother and some on to me. The key Macgregor heirloom is Bonnie Prince Charlie’s Razor from c. 1746 after the Battle of Culloden. It is held by Colin MacGregor Stevens (2015). 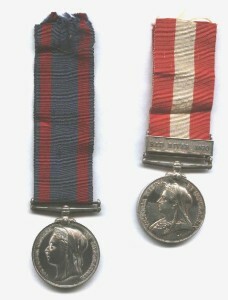 Medals awarded to MacGregor Brothers. On left is 1885 Northwest Rebellion to Private Albert Macgregor, Winnipeg Field Battery. On the right is the 1870 Red River medal awarded to his brother Pte. James Couse MacGREGOR of the Ontario Rifles. The medals are owned by Colin MacGregor Stevens. 1885 and 1870 General Service Medals to two Macgregor brothers. I am looking for an original SASKATCHEWAN bar for Albert’s 1885 medal as he was entitled to one according to the medal roll but it is missing. The 1870 General Service medal on the right was awarded to “Pte. J. C. Macgregor. Ont. R.” i.e. Private James Couse Macgregor of the Ontario Rifles. They trekked across Ontario and Manitoba and arrived in Winnipeg (on the Red River) to defeat the Louis Riel in his first “Riel Rebellion”. Original ribbon and RED RIVER 1870 bar. The 1885 General Service medal on the left was awarded to a brother of James, “A. J. McGregor W. F. B.” i.e. Private Albert John Macgregor, Winnipeg Field Battery. They were involved in the Battle of Batoche in May, 1885 in Saskatchewan. He was entitled to the SASKATCHEWAN bar for having seen action, but the bar was never claimed or was lost. A replica bar has since been obtained. By coincidence, Colin Macgregor Stevens later lived in Winnipeg (served in the militia there), and later worked at Batoche as the Interpretive Officer with Parks Canada. Another heirloom is a Macgregor ring for use with sealing wax. The crest is carved in reverse. This came to Colin Stevens from his father A. H. Stevens who obtained it from his cousin Peggy, daughter of Flo (Macgregor) Read. A similar ring, plain on the sides and larger, was worn by A. H. Stevens but was later lost. Colin Stevens’ ring. It has now been dated to about 1875. Niel Macgregor Family Bible – BIRTHS AND DEATHS page 1 of 2. Only the page survives, not the bible. Bible PROBABLY dates from February 27, 1848 when Niel Macgregor married Anne Couse (probably in Ontario). Detail of BIRTHS section of this page. It starts off with Niel Macgregor, born in Kinloch Rannoch, Scotland in 1816. Detail of DEATHS section of this page. It starts off with Niel Macgregor who died at St. Catharines 12th of May 1874. Niel Macgregor Family Bible – BIRTHS AND DEATHS page 2 of 2. Colin Stevens has a photocopy of this page which had survived into the 1990s. Original page MAY be with Dr E M Stevens. Detail of Niel Macgregor’s Family Bible BIRTHS and DEATHS page 2 of 2. MARRIAGES page from Niel Macgregor’s Family Bible. Only page survives, not the bible. Page held by Colin Macgregor Stevens in 2003. Niel Macgregor’s Family Bible MARRIAGES page, details. Last resting place of some of our Macgregors of St. Catharines, Ontario. Macgregor family tombstone in Victoria Lawn Cemetery, St. Catharines, Ontario, Canada. Off to one side is another large Macgregor headstone that is for the same family, and there are smaller markers on the ground. To find it, enter the graveyard by the gatehouse, go more or less straight in for about 200 yards and look for huge monument to BEATTY. Macgregors, Stevens and Gardners are just to the right of that. Killichonan, Perthshire, Scotland – Some of my MacGregors were buried there. Fortingall. Perthshire, Scotland – My MacGregors were in the Parish of Portingall. Culloden Battlefield – There were some MacGregors at the battle, but most of them had been sent on a special mission and thus missed the battle.